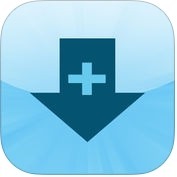 Are you looking for fast, powerful and user-friendly download manager apps for iPhone and iPad? Download manager apps allow you to download any kind of file from the web to your iPhone or iPad. Since, you cannot download all types of files from the net through web browsers ( Safari, Chrome etc.) 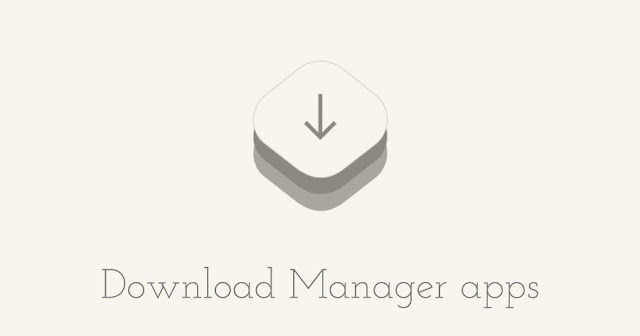 in iOS, so you need to install any download manager app to do so. Here, you can see 7 best download manager apps for iPhone and iPad. With the help of these great download manager apps, you can download any type of file including mp3, videos, pdf, zip, documents and organize them or transfer them to you computer or any other mobile device. You can download any of these best download manager apps, according to your choice. If you want to download movies or music to your iPhone, you would love these apps. 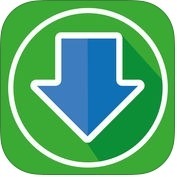 1. eDl Pro - Web Browser and File Manager ( iPhone + iPad ) :- This download manager app is one of the best download manager apps available on App Store for iPhone and iPad. eDI Pro-Web Browser and File Manager app has amazing features and user-friendly interface and contains lots of options such as multiple tabs, navigation bar and toolbar are hidden while browsing, bookmark, history and cookies management, text search, fast downloading speed, supports multitasking- download continue in the background, unlimited simultaneous downloads, file viewer, image editor with zoom and tools to crop, resize, unzip files, password protected files and more. You can also set pin code, pattern or touch ID to protect your privacy on your iPhone and iPad. 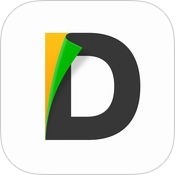 2.Downloader Pro with multi tab browser ( iPhone + iPad ) :- With the help of Downloader pro, you can save web pages with images documents, files, and videos for offline viewing on your iPhone and iPad. 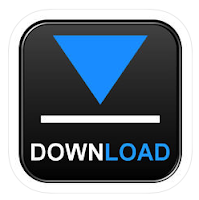 Downloader pro has lots of features and lets you access unlimited downloads. The app also contains a powerful multi tab web browser to surf the web and download your favourite content. 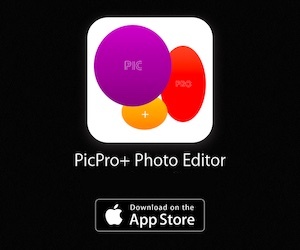 If you want to download your favourite music, videos, movie clips , ebooks, PDFs or images, this app would be the best option for your iOS device. The app also lets you add links to download files with pause and resume option. 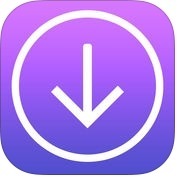 One of the best download manager apps for iPhone and iPad. 3. Files - File Manager & Web Browser ( iPhone + iPad ) :- If you want to download the best and powerful file manager, web browser and download manager app, you should try Files-File Manager & Web Browser app. This file manager app has lots of effective and useful features such as support full portrait & landscape mode, web browser, passcode lock, tab and hold to force download, bookmark manager, fast downloading speed, add arbitrary download link, file manager, search by file name, unzip ZIP files, upload, download and manage files, advanced PDF viewer, photo viewer, file transfer and more. You can also sync what you want and keep files on your iPhone and iPad. 4. Documents 5 - File manager, PDF reader and browser ( iPhone + iPad ) :- Documents 5 is famous as a file manger app, but it's more than that. You can use this app as download manager, too. Documents 5 comes with built-in web browser with support of downloading any kind of file from the internet to Documents 5 app. With the help of this file manager app, you can view office documents, read books & articles, you can manage your files, you can sync with iCloud, Google Drive and other services, you can protect everything with a password, you can download documents from the web and more. You can also share files with your friends and you can save web pages to read them later on your iPhone and iPad. 5. iDL PLUS FREE - Cloud Storage and File Manager (iPhone + iPad ) :- This download manager app is one of the best and the most powerful file manager apps for iPhone and iPad. With the help of iDL PLUS FREE-Cloud Storage and File Manager app, you can download fast & easily, you can save web pages with images for offline viewing, you can add more than one account for each cloud storage service and upload to your cloud accounts to free space on your iPhone and iPad. This download manager app has lots of amazing features such as live download progress bar, speed & size indication, bookmark manager, web browser, cloud storage manager, file manager, photo viewer, passcode lock and many more. 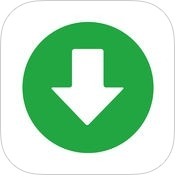 6. iBrowser Plus - Cloud Storage( iPhone + iPad ) :- With the help of this download manager app, you can tap and hold on force download, you can save web pages with images for offline viewing, you can search by file name and, You can also import photos and videos from camera roll on your iPhone and iPad. iBrowser-Web Browser, File Manager & Reader app has several powerful and user-friendly features such as support full portrait & landscape mode passcode lock, bookmark manager, history support, download fast speed, support background download, unzip ZIP files, folder support, file manager, advanced PDF viewer, photo viewer,share files and more. 7. QWE ( iPhone + iPad ) :- With the help of QWE app, you can download almost all types of file from the net to your iOS devices and transfer them, you can lock with passcode, you can organize your files and more. This download manager app has several useful features such as Cloud manager, iTunes-file sharing support, file manager with folders support and many more. You can also save web pages with images for offline viewing on your iPhone and iPad.